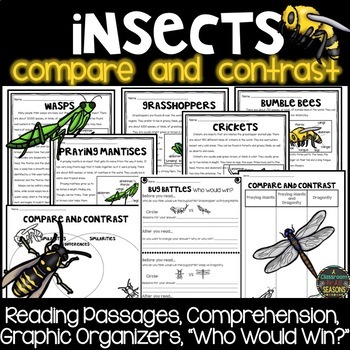 Do you use Word Walls in your ESL classroom? 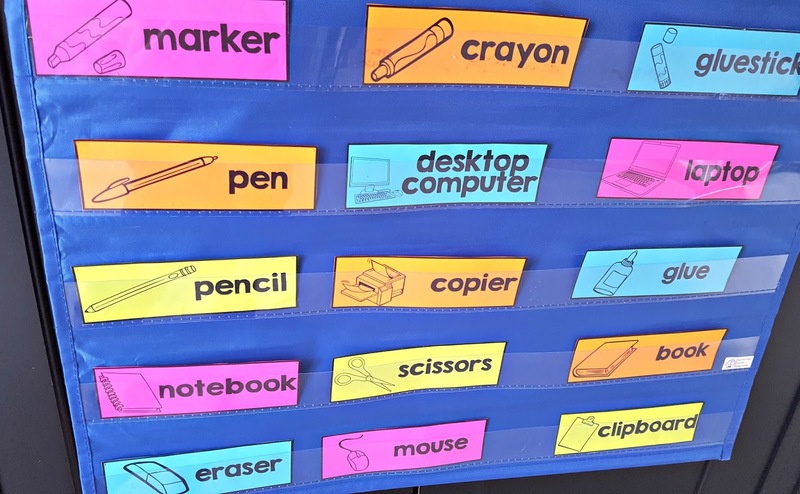 Having a Word Wall is an easy way to display common vocabulary words that your students need to master. 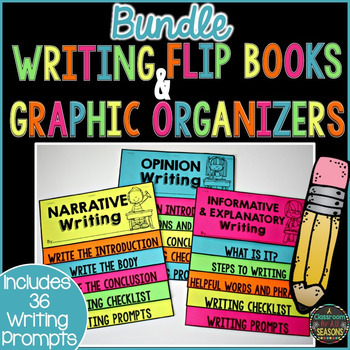 Word Walls serve as a reference when writing or speaking in the classroom. 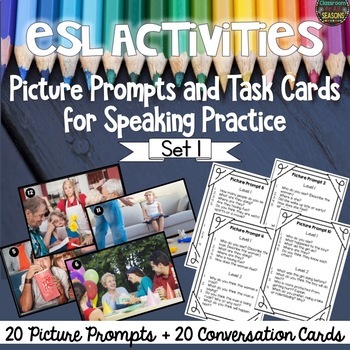 By including a picture with the word, the cards provide even more support in expanding a student's vocabulary. 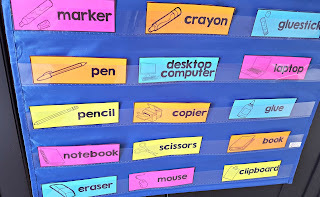 Word Walls should be displayed where all the students can see the cards. 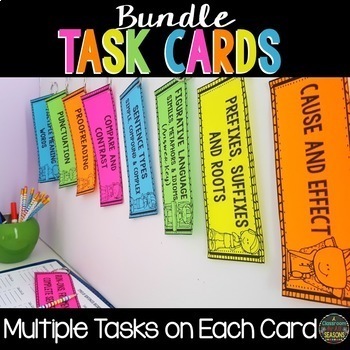 Additionally, the teacher should frequently reference the cards and model when and how to use them. 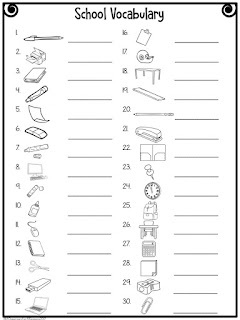 In addition to simply displaying the words in a classroom, there are a number of fun activities you can do to practice the vocabulary. 1. Head's up: Have one student hold a card on his/her forehead while a partner describes the action until he/she guesses the word. 2. Matching Game: Match the word with the picture. This is a great center or early finisher activity. 3. Pictionary: One student will draw a picture of the word while the others try to guess it. 4. Fly Swatter Game: Have 2 students stand to the sides of your word wall each armed with a fly swatter. The teacher (or student) gives a definition of the word. The first student to "swat" the correct word wall card wins. 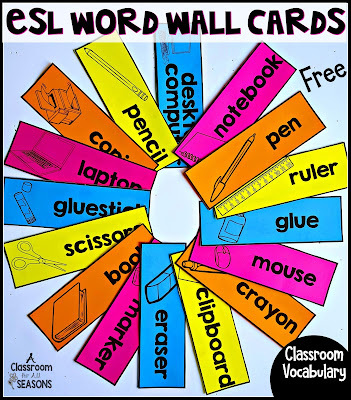 I have include these free word wall cards for your ESL classroom. They include common classroom vocabulary that is essential those first weeks of school. (The cards come in black and white as well as color.) 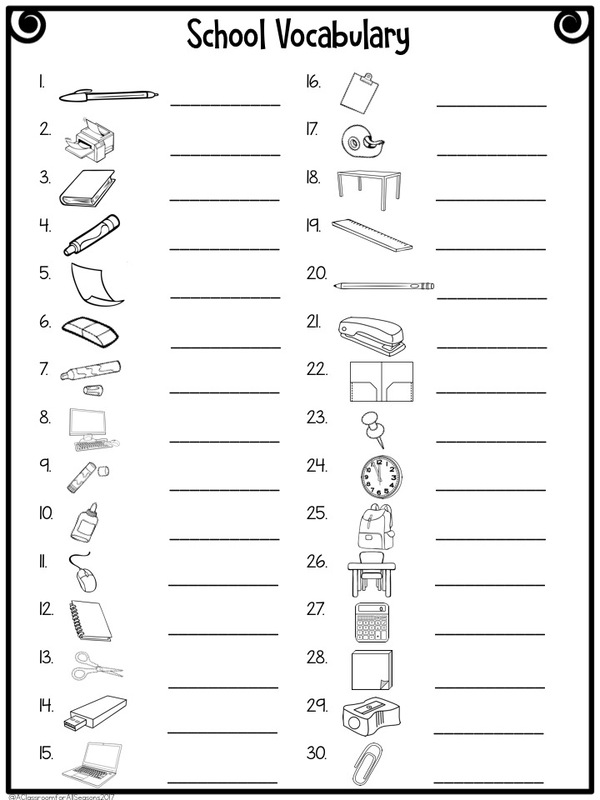 There is also a sheet included to see what your students already know. See below. 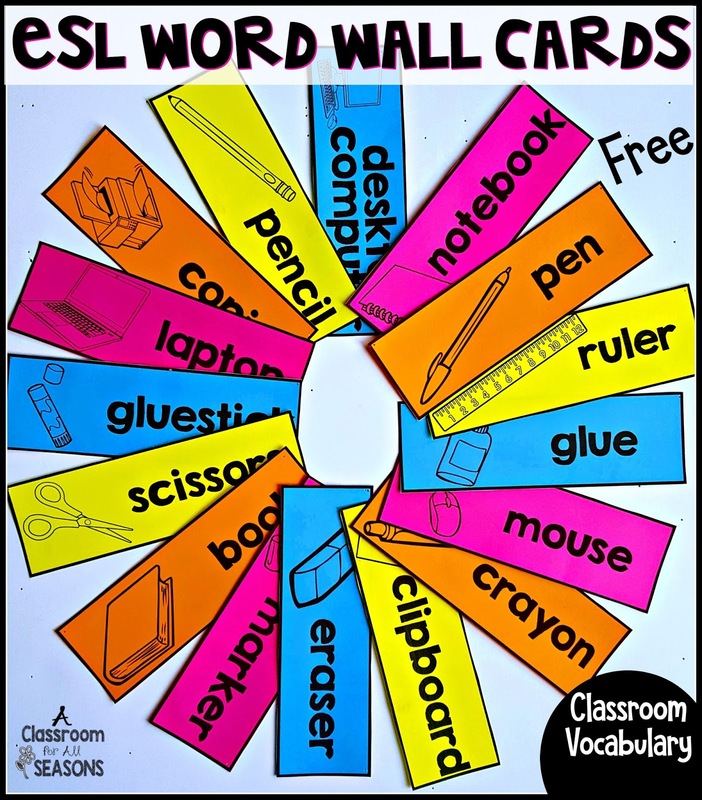 To download your free Classroom Vocabulary Word Wall Cards, click here!